12/11/15 – The show went really well. Erin Wiersma curated and hung it very nicely. 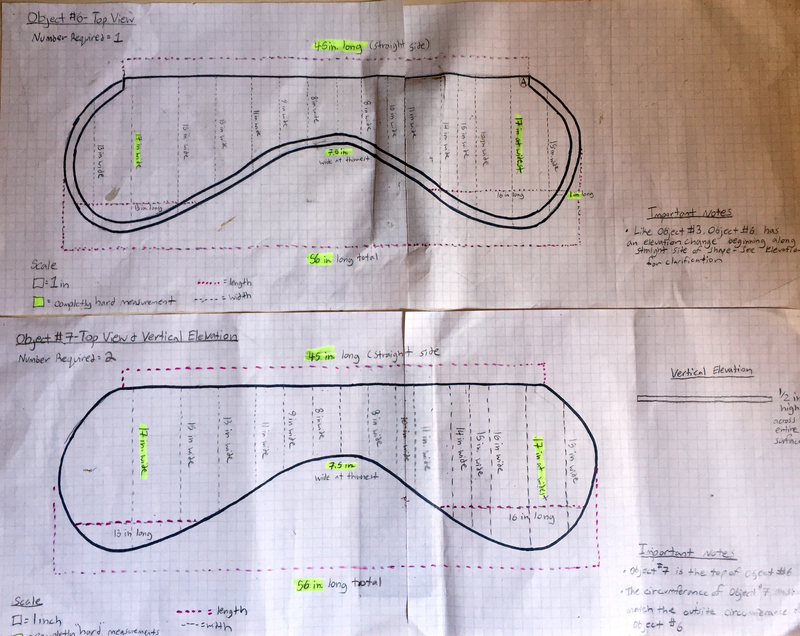 Thanks to Aimee for taking the time to review the drawings. ‘Lumpy and Soapy’ is taken from a text description of a Roman pottery fragment held at The Museum of London Archive. With this drawing I wanted to test out what the words ‘lumpy’ and ‘soapy’ look like or feel like by using abstract forms. By not drawing recognizable objects, I hope that the words can be interpreted in terms of the physical form of their material selves. My work hinges upon how language is processed. I use speech and drawing to explore the sound of words, to help understand both visceral and visual (mis)understandings and interpretations. 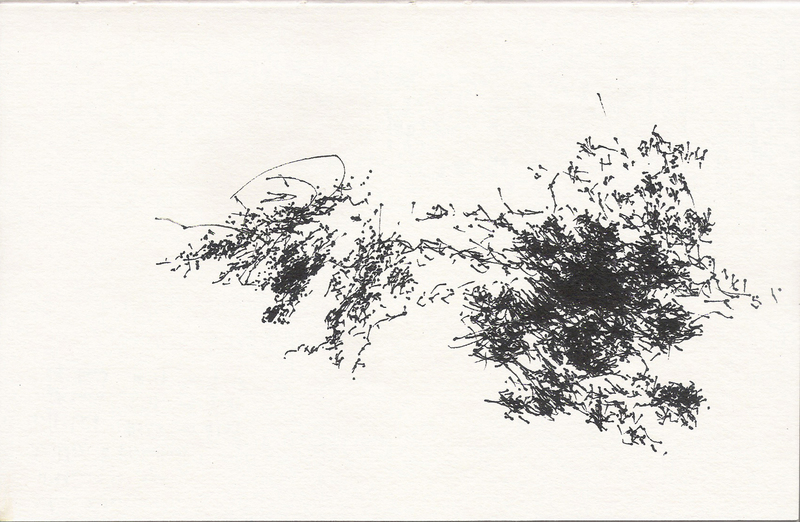 Recently, I have been making ‘audio drawings’ where the listener hears the detailed description of an unknown object or material, and so completes the ‘drawing’ in their own imagination. I completed my MA Drawing at Wimbledon (2013) and BA Fine Art (2002) at UCA. 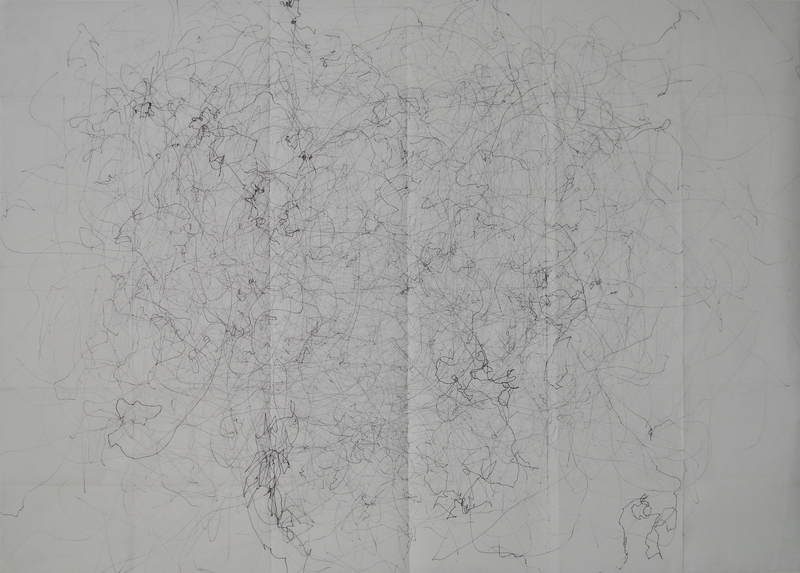 I won the Jerwood Drawing Prize in 2014. In my works, I like to link different elements in terms of time, context and media, and let them play Ping-Pong. It is like stepping out, and looking at a pattern of perceived occurrences, evolved over time – “thought mending” somehow. 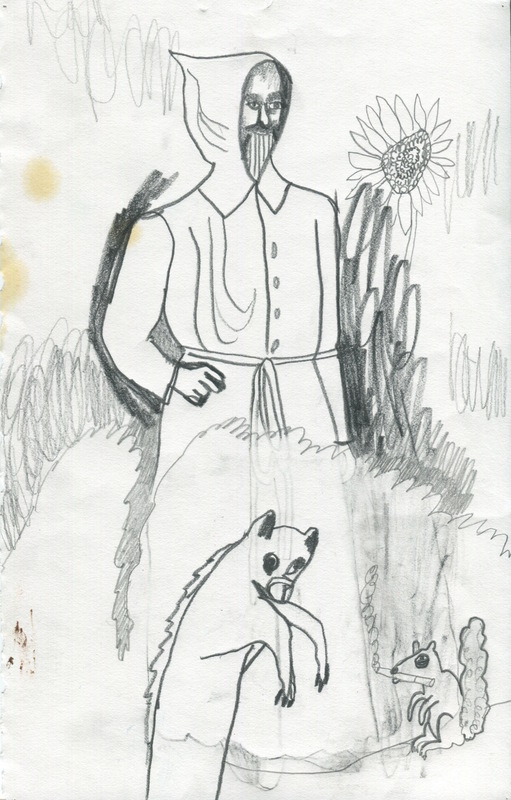 This drawing collects scribbles, drawings, some of which I made after my mother had passed away, some later. 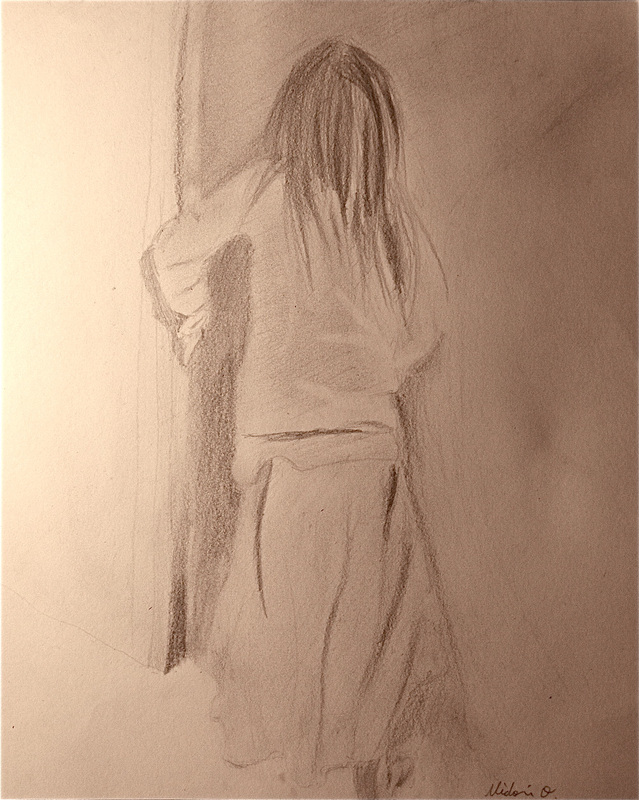 Drawing her, I used the basic forms of “my stones”, and later, I remembered us listening to music and playing the piano. In those times, I started to develop these little figures, which you would see spread all over my recent works. They accompany me since then. This work considers a genealogy or lineage within my practice based on re-purposing materials. Works are connected based on relationships of line, form, material, and content relationships to interact with temporality and fragility (including pressure, balance, interdependence, and reliance). Through my process I work without knowing what the resolution will be. I observe as materials mingle and react. By exploring intermediacy, the state of being in between, my work challenges, subverts, or exploits beyond a base structure of meaning. In my studio practice, text, writing, drawing, painting, and construction are not punctuated; they are symbiotic mergers joining thoughts and content together to cross categorical structures. These works rely on optical interplays of media to force a decision, evoke a sentiment, or alter a perception. This playful integration of materials enables interpretation and promotes interaction. This drawing is an attempt to understand food addiction. Can the arrangement of sugar act as a powerful aesthetic? Is there a connection between the aggressive destruction of these simple carbohydrates and the elevation of their visual impact? Engaging issues of Korean diaspora and cultural displacement, my creative works question how physical and psychological experiences of displacement affect and reshape a sense of identity in immigrant nomadic life. As a culturally displaced artist, I carry out an interview project and a series of drawing and paintings embodying immigrants’ stories and emotional resonances. Inspired by an article about stories of North Korean refugees staying in the temporary shelters in the third countries, I drew silhouettes of mugwort, wild mountain-grown herb that has been used for traditional food, ritual and medicinal purposes in Korea. The article mentioned that many North Korean refugees named a mugwort soup and rice cake when they heard the word “hometown”. Their clear memory of mugwort scent and flavor may excite nostalgia, whereas nostalgia can trigger off a painful longing. Several outlines of mugwort leaves I draw do not cure their homesickness or mine or uprooted victims who lost their home and their community due to war and injustice. But I constantly draw symbolic images to tell everyone that I do care the problems of what we are facing now in our society. I have been interested in the symbolism of shells as remnants from the creatures that once inhabited them, but also as memory objects. 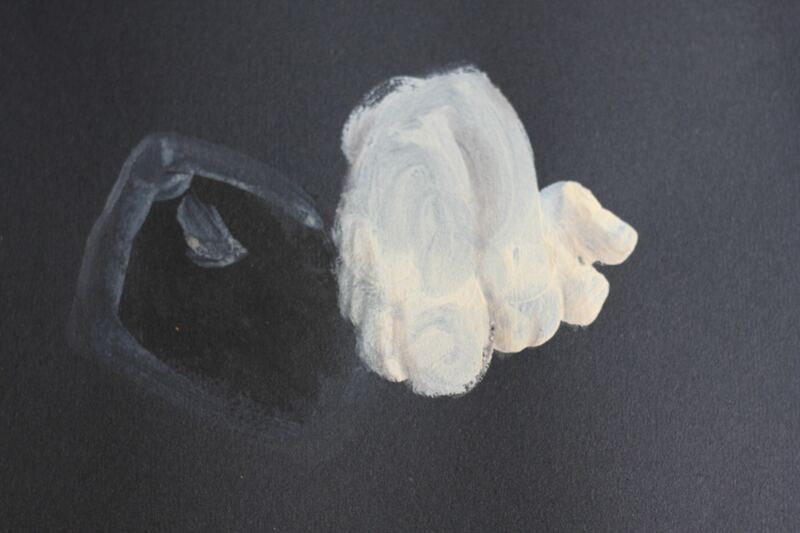 Completing studies, prior to beginning a painting, helps me to understand the object. 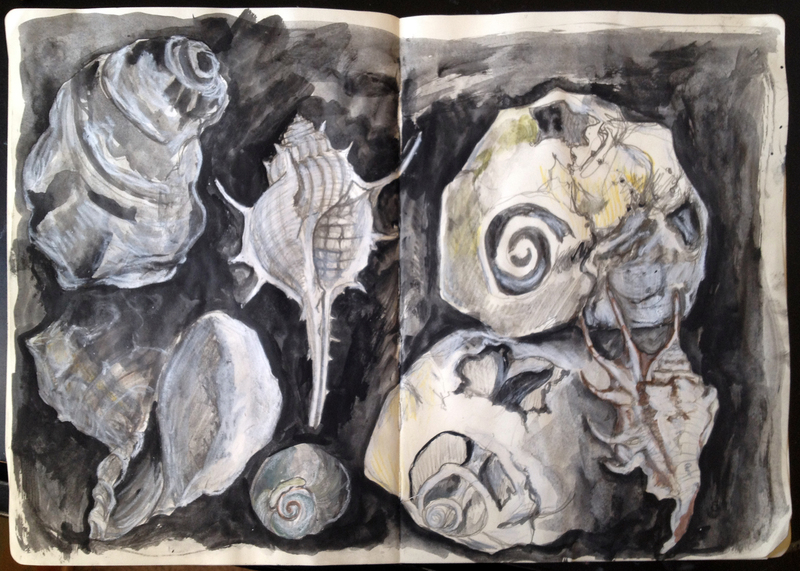 These studies are a way for me to work out my paintings, determine what is special or important about each shell. 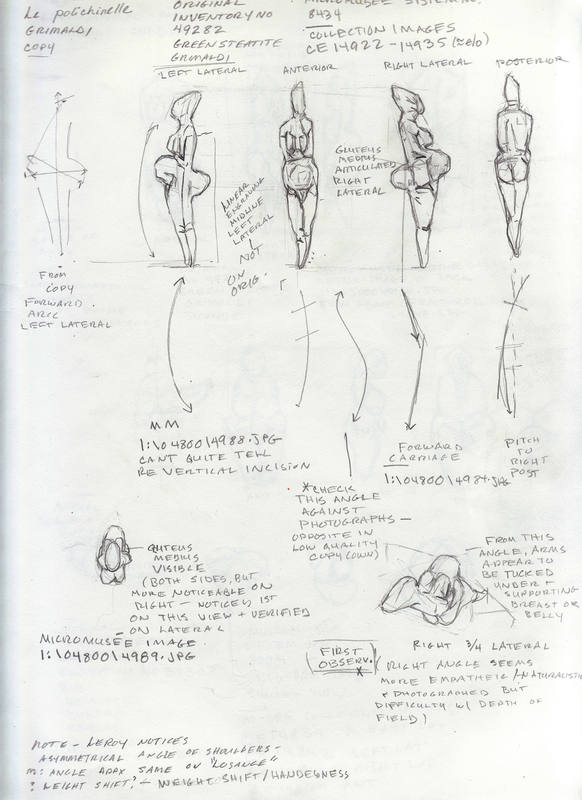 This sketching process is when I do my thinking: I analyze, make changes and discoveries. When I begin painting, these studies inform my more spontaneous process, as I typically paint rather quickly, with thick paint and intuitive mark making. Ansley Adams is a painter in South Carolina. She obtained her BA in Art Education from Wingate University in 2008 and her MFA in painting from the University of South Carolina in 2012. Her research is inspired by a desire to express, through ideas of shared experience, the emotional memory that ‘special objects’ hold. 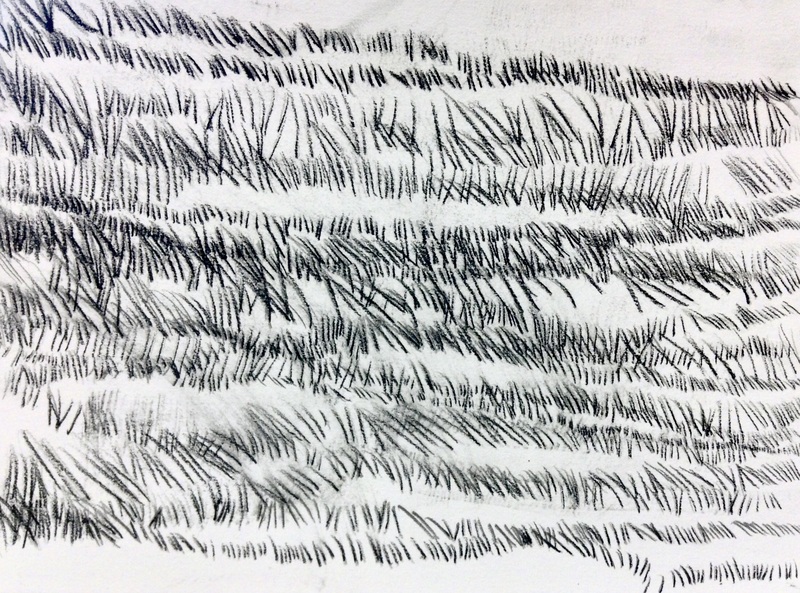 The purpose of this drawing was to sync my eyes, my hand and my attention to the rhythms of my immediate environment — in this case, a tallgrass prairie. Fixing my eyes on the movement of one blade of grass as it was blown about by the wind, I tried to simultaneously make marks, transcribing this movement to the page. The product is a kind of data notation — the angle of the blade, the intensity of the wind, how fast the blade moved to and fro – but mediated through a human conduit. 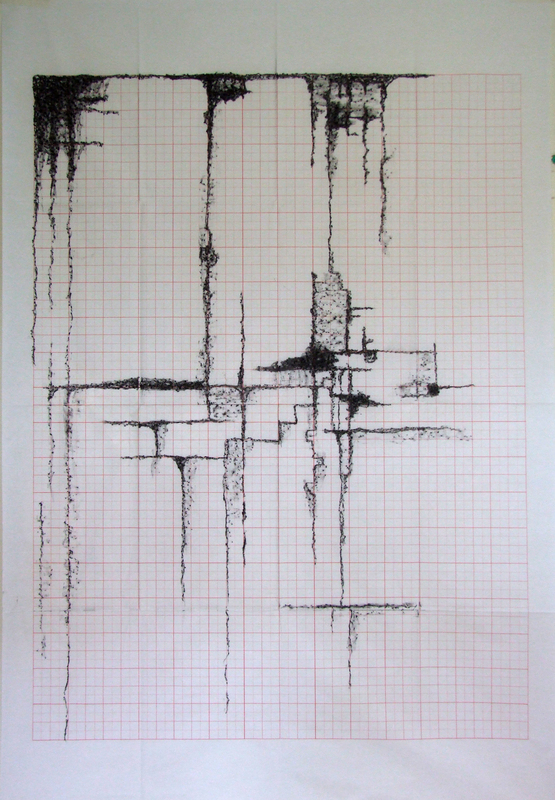 As a representation, the drawing exists in a sort of limbo between subjectivity and quantitative analysis. 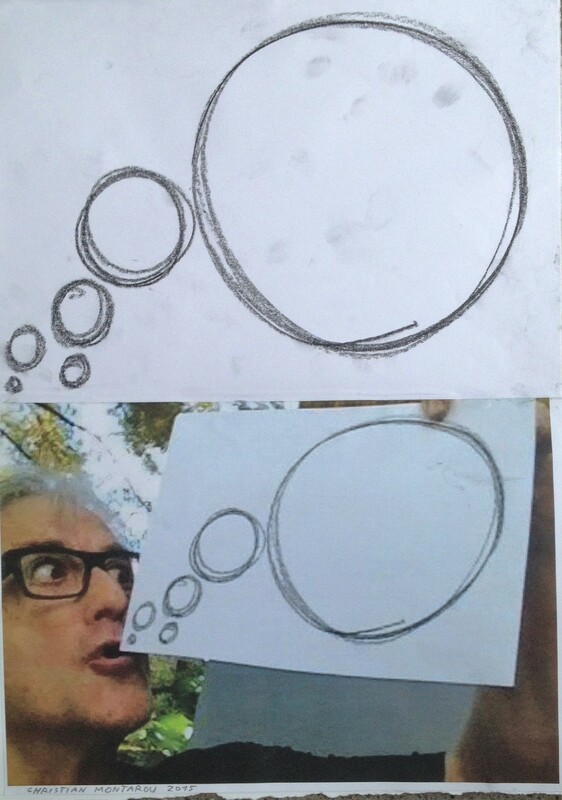 I use drawing to access the unconscious; I call this method “free drawing”. The process is similar to free writing. I draw without a goal. This open thought brings forth imagery that I could not find without an undeveloped approach. This approach is submersed in the medium and method of mark making without having a specific goal for the drawing in mind. I am often surprised with what imagery appears through the drawing process. Drawing is about a sense of discovery and a means to understanding. It is the practice of unfolding fragmented ideas into an actual thing. In many cases, drawing becomes a tool to help us think and see in a different way. Amanda Bulger was born and raised in Wisconsin on her family’s dairy farm. She received her BFA from the University of Wisconsin – Eau Claire and currently resides in Connecticut. The drawing Audrey (November 2007) is based on an earlier piece with the same title, photographed with a film camera and printed manually in an analog darkroom by the artist. With a child being the main subject, the original photograph preserves a moment while the subject is growing up. 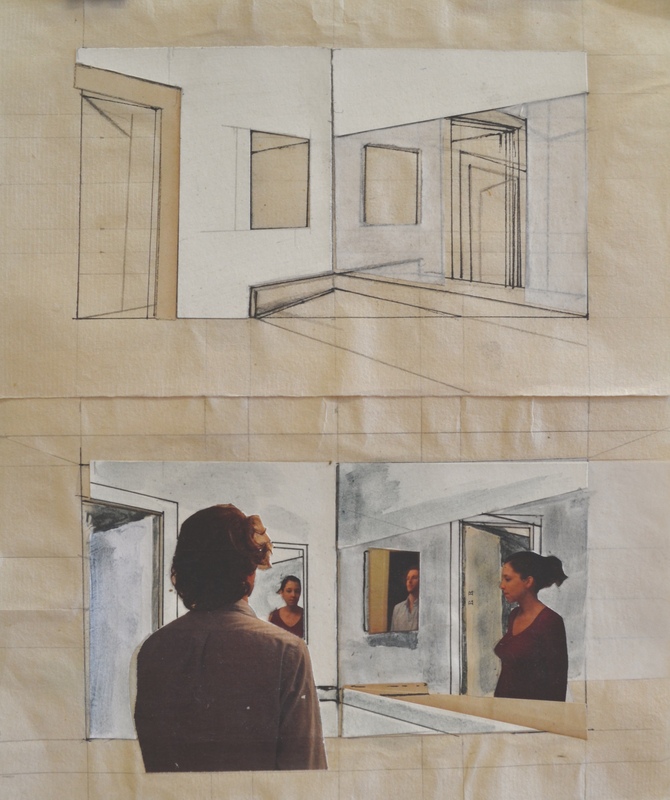 The purpose of the drawing based on it is not merely appropriating an earlier work, but re-visiting the memory, spending a much longer time with the scene than a quick less-than-a-second spent photographing it. Originally from Sendai, Miyagi, Japan, Midori Okuyama moved to U.S.A. to pursue a college degree and has been based in New York City since graduating from Hunter College of City University of New York with Bachelor of Fine Arts degree in Studio Art, concentrating on Photography. Midori works with a variety of mediums, materials, and subjects, including but not limited to drawing, painting, photography, and mixed media. Checking for Self is addressing ideas of space and perspective, more specifically in regards to the relationship of my wife and I after discovering we would be having a child. 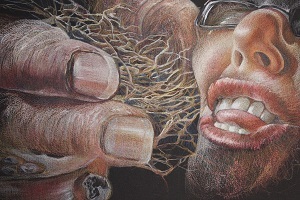 This piece is one of a series following that theme and focuses around the idea of experience. I am Indian artist from Mumbai and have shown works in solo exhibitions and group shows. Drawing is an integral part of my thinking process and from doodling, sketching, painting, photography to Installations; I have been exploring line and form through my artistic practice. My drawing is a finished art work in itself and I have been exhibiting my drawings (one may see them as doodles or sketches) along with paintings or new media works and all complementing each other. Here in this drawing the seed I have drawn from imagination stands as a solid, strong central motif vibrating, very much alive, thinking and speaking, a mass of energy to meditate on. It has the power to create new life, new meanings, and new ideas – to give birth and to heal. Drawing is a primary thinking tool for me, and sketches are ideas, propositions, visual problems to solve, and problems created deliberately to generate more problems. I am investigating, through drawing, sculpture, and photography the troubled relationship between humans and the physical landscape. 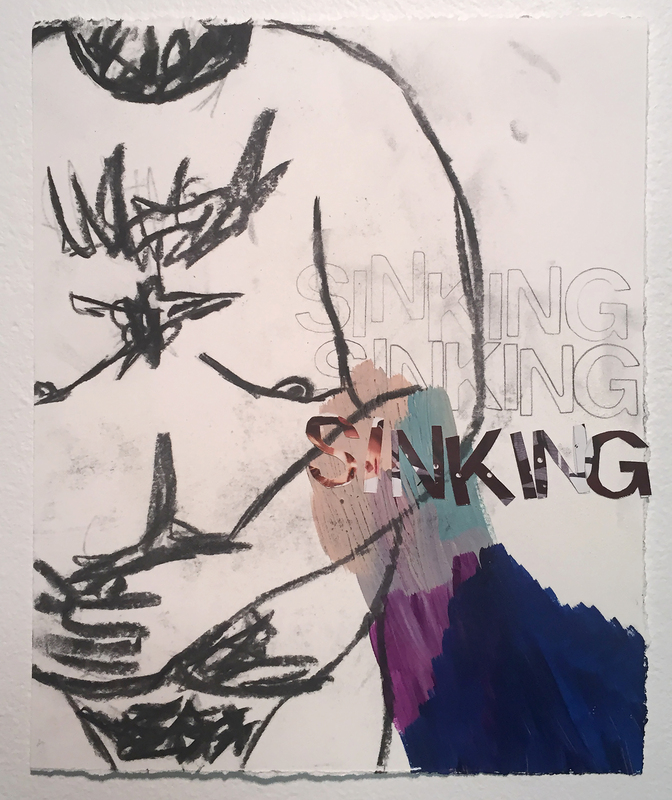 My drawings, book projects, and sculptures have been shown at The Drawing Center, The Sculpture Center, Artists Space and The Center for Book Arts in New York City. Installation projects have been shown at the Dieu Donné Gallery in New York, the ARC Gallery Raw Space in Chicago, the Islip Art Museum Project Space on Long Island, and Contemporary Outdoor Sculpture at Chesterwood in Stockbridge, MA. Drawings are on view in the Pierogi Gallery flat files in Brooklyn NY, and handmade books in the flat files at Dieu Donne Gallery in Chelsea NY. Drawing is an integral part of my studio practice as well as the primary area of my teaching at the University of Central Missouri. Since 2006, I have worked with my colleague in Art History, Dr. Leroy McDermott, investigating contemporary visual correlations in his self-viewing hypothesis of Upper Paleolithic female figurines. For the last year and a half, I have drawn both the original and museum casts of these prehistoric figurines as a means of better understanding material, manufacture, and typology. Essentially, the drawing process is teaching me to understand what I’m seeing and holding. I become aware of the physical characteristics and stylistic attributes, but I also detect nuances of the makers’ hand, the decisions in material manipulation, and the sensitivity to the physicality of the human form. Careful observation and translation yields a kind of haptic empathy that transcends some 20,000 years. My drawing is a preliminary one for working out how to do different patterns and techniques using Spirograph. I was born in Hancock, Michigan in 1971 and received a Bachelor of Arts degree from Curry College in Milton, Massachusetts. I am an artist and have exhibited my paintings and drawings in thirteen North-American solo exhibitions and over six hundred group shows on every continent except Antarctica and my work has been included in a number of major museum collections. Beginning in 2015 I have been the President of the New York Boyer Foundation, which gives support to all types of visual and performing arts. Currently I live in New York with my wife Sílvia. The purpose of the drawing was to explore and celebrate through drawing the often overlooked magical qualities of animals. Somewhere as I was juggling my son with autism, my teaching, my students, my studio practice and my marriage, I lost my center. I am a Professor of Art at Fort Hays State University in Hays, KS and have been teaching drawing for 16 years. Eight years ago my son was born and had a myriad of minor health problems. He was then diagnosed with autism at the age of three. My world was turned upside down as I tried to take care of my son, teach and make art. 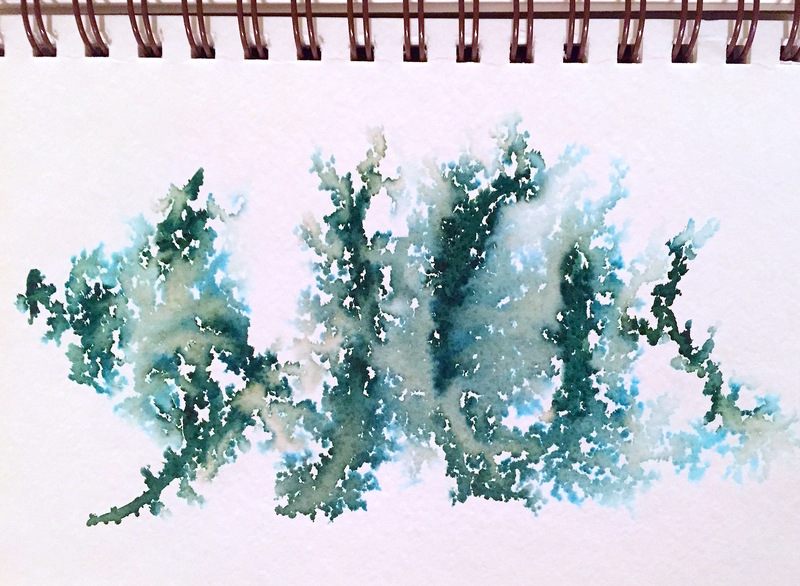 Recently I started to create art that emphasizes renewal and daily meditation to help me find my center. I focus on techniques that invoke peaceful thoughts, which include: spinning fiber into yarn, weaving, sewing and drawing. This drawing titled “Centering 2” is the start of a series that focuses on mindfulness meditation. This drawing was made as a study of a previous sculpture along with other themes I plan exploring in future sculptures. My work explores themes in philosophy, mathematics, and history. This drawing is a beginning point into my exploration of these themes. I primarily work as a sculptor and use mediums, such as, stone, iron, and plastics. The immediacy of drawing helps me to work through ideas and connect different lines of thought in my sculptural work. Chung-Fan Chang is a visual artist and educator who explores and investigates in painting, works on paper, video, and wall installation. 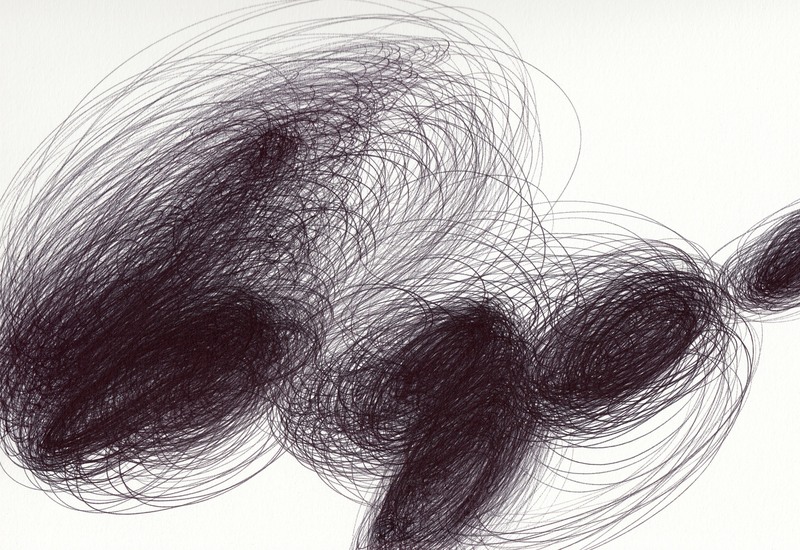 Her pen-mark drawing is executed through gestures of applying endless scribbles, which connect to a meditative state of mind and its spirituality. In the process of making, Chang is interested in the nuances of sound, music, gestures and movements of daily encounter of drawing. Chang has exhibited her work in galleries and museums nationally and internationally. She was the 2013-14 Visual Arts Fellow at the Mississippi Arts Commission, and was the recipient of ThinkTank 7 Emerging Educator Fellowship. 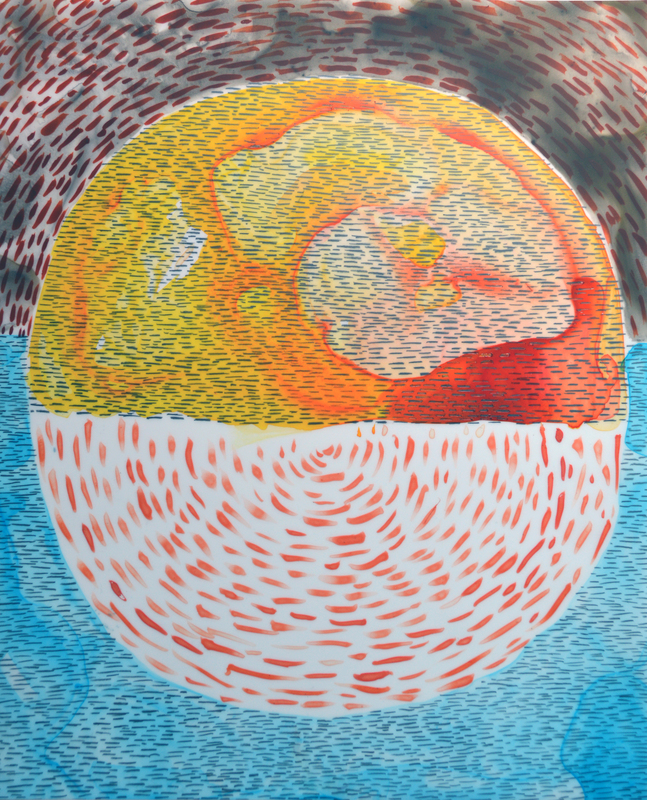 Recently, Chang exhibited her work at the Asian Cultural Center, Manhattan Art Gallery in New York, NY. She has co-curated exhibition Horizon Realm: Contemporary Art from Taiwan at Tenri Cultural Center in New York. Chang obtained MFA from Savannah College of Art and Design in the US, and BFA from Taipei National University of the Arts in Taiwan. Evocative Object: Mother’s Girdle is an attempt to remember one of my earliest childhood memories of reaching up to touch my mother’s girdle. Through this drawing process, I recreate my mother; an act of reparation (Klein/Segal) which keeps me sane. I question the notion of memory and importance of evocative objects in our lives. My mother died 1964 when I was aged 7 and was not discussed in family. No photos of her on display at home. After father’s death in 2009, my drawing changed radically and I began to draw my mother from found photos to ‘reinstate’ her, to ‘bring her alive’. I completed MA Fine Art Central Saint Martin’s, have an interest in psychological reading of drawing/creativity, exhibit drawings inc. Centre for Recent Drawing, and occasionally teach. Member of Drawing Room Professional Network. Had Kleinian analysis. I’m exploring memory, loss, trauma, family, evocative objects in my drawing. I am an artist originally from Nebraska, currently living and working in Connecticut where I am a graduate student at UConn. My practice ties memoir to visual responses, creating narrative and interdisciplinary works. I find the practice of drawing is essential to any artist or creative, whether they are making films, photographs, sculptures, plays, music, or anything else. The act of drawing isn’t merely taking media and dragging it along a surface, drawing is the primordial process of creation. A musician marking notation on a staff or writing lyrics or a researcher carefully planning out a study or experiment is drawing just as much as an artist using charcoal in their studio. 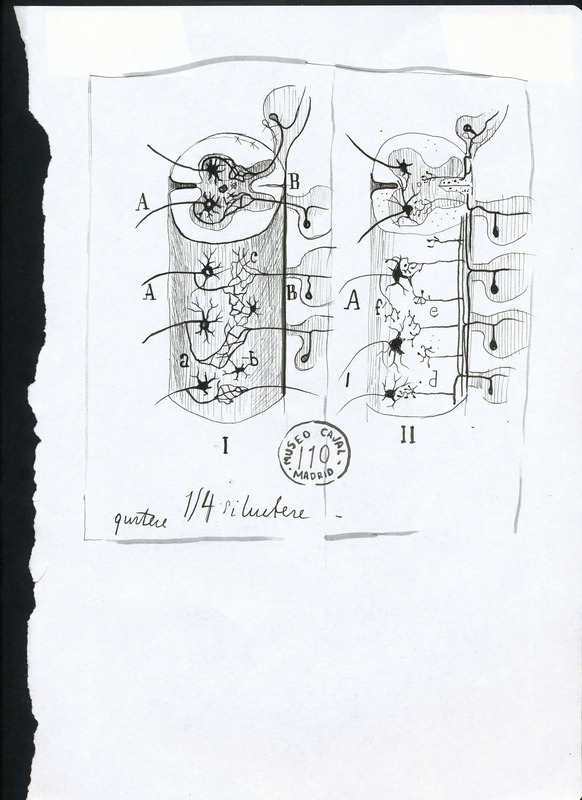 A drawing can be a theory, and left as such or fully fleshed out into a peer edited paper, much like how an artist can continue drawing or leave a sketch. I hypothesize that something not so easily observed, through generic terms in a physical realm, exists. The inability to objectively define this unknown realm is related to empirical research, cognition, and consciousness. One is arguably more conscious in between the lines of “actual” thought, meaning real thought that occurs in what most define as reality, and subconscious thought, meaning thought that takes place while sleeping/dreaming. True consciousness exists between these two distinct realms of cognitive function. My process has brought me to a point where I am searching for ways to successfully envelop myself in this undefined realm, and translate anything I can find onto a surface. This piece is a gesture expressing the anticipation of faculty week, fraught with possibilities, anxiety, politics, loss of summer and void of the reason to be, the students. I draw through every faculty meeting, the lines rich in rebellion to the concrete box of pretension. My destination is to focus all energy on our students and their developing creative spirit. My drawings are obsessive, fanatical expressions of perceptual exploration that is initiated from the gut response to an object or idea, then discovering the source of why this is an inspiration, expanded into a series. My work is editorial and sometimes screams but eventually heals with increasing awareness of the potential for positive change through the drawing process and shared ideas. I have been drawing my entire life. It is my vehicle for interacting with the material world and focusing thoughts. Currently the motivation to share process, participate collaboratively is of preeminent value. Creating meaningful communal experiences is evolving out of my university teaching and community service. I recently unpacked a childhood suitcase & discovered a box of polaroid film. This unused artifact from the past did not get the opportunity to capture a memory, as it was meant to. I began thinking about the complexity of memory- how memories erode, disappear and are often misremembered. In this series of drawings on polaroid, I am attempting to revisit memories by using a white out pen to emphasis that the more I attempt to remember a moment, often I am failing at honestly representing that memory. This tension of memory and failure is one that I find rich in metaphor within my drawing practice. I visually document shared space, time, memories and experiences with media from fabrics to found objects. Currently my art practice involves both studio work centered around food coloring and unconventional spray-painting methods and art community involvement by directing Ground Floor Gallery + Studios, a non-commercial gallery and studio collective that participates in AM@WeHo and the Downtown Art Crawl monthly. I make these little “drawings” as warm ups to larger paintings I’m working on, or sometimes when I have no more than a couple of minutes to let some creative energy flow. This was no. 4 in a series of 8 aerial interpretations of the Finger Lakes in Upstate NY. Recent drawings I have made incorporate contemporary technology as a kind of “sketching” process. As I’m interested in creating “proposals” that modify existing places, I use Photoshop to collage together personal and found photos reduce them to line drawings and color shapes, and then print out a prototype. The final process includes printing some of the colored shapes on another piece of paper, then drawing/painting the rest, to suggest a hand “mediated” by digital culture. Robert Bubp has participated in over 50 solo, two-person, and group exhibitions across the U.S., including the Salina Art Center, Salina, KS; Dowd Fine Art Center, SUNY Cortland, Cortland, NY; the Indianapolis Art Center, Indianapolis, In. ; and KSpace, Corpus Christi, Tx. His work is held in numerous collections including the University of Kansas, Emprise Bank, and the Kansas Health Foundation. Paths of least resistance contemplates the choices made by organic materials in navigating the manmade environment, whether a liquid seeping through a surface or a mould growing amongst its cracks. 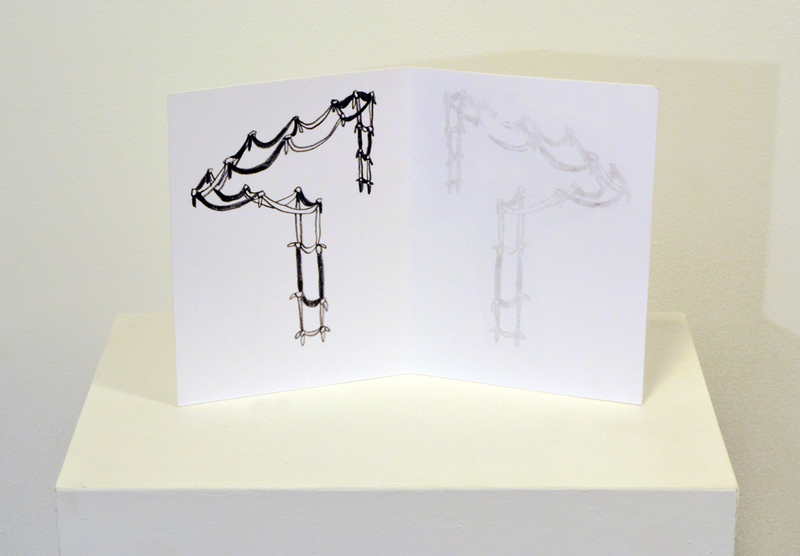 Ruth Simons utilises drawing, printmaking and installation as both the means of research and the expression of her findings. Her practice explores materiality, structure and growth patterns, generating organic forms from inorganic materials and manmade objects. Simons’ work has the appearance of objects from the natural world, yet is constructed from synthetic materials, raising questions about our relationship with nature, touching on issues of ecology, mutation and climate change. She recently completed a BA (Hons) Fine Art at Oxford Brookes University having previously studied Metallurgy, Economics and Management at The University of Oxford and this interest in science and materials underpins her research. 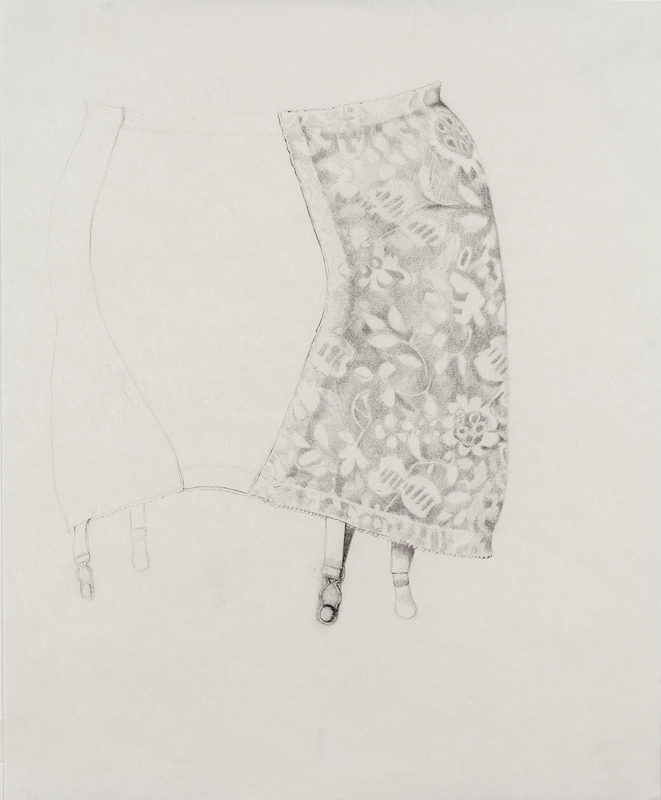 She was shortlisted for the Jerwood Drawing Prize in 2012, and has exhibited widely in the UK. As an artist it is very easy to get caught up in imagining the final product. You spend hours and days visualizing the thing to the point that you forget that you still have build it. 2D to 3D is a collection of drawings created between the thinking and building. They are the designs for a series of shelves and shadowboxes used to display my recent sculptural installation Pageant: Manufactured Beauty. When I began work on these designs I still naively saw them as separate from my so-called real art. These things were just the medium on which my work would be displayed. However as I drew, erased and measured I realized that I wasn’t just designing glorified pedestals I was making art. I was designing objects, without which my installation would have failed. Susan Beniston is an artist, an educator and a qualified art therapist. She teaches art to foundation students within the Faculty of Animation, Arts and Design at Sheridan College in Ontario Canada. She is also a faculty peer coach in their Centre for Teaching and Learning. Susan is an honours graduate of the Vancouver School of Art and has an MFA in Studio Sculpture from the University of Waterloo. 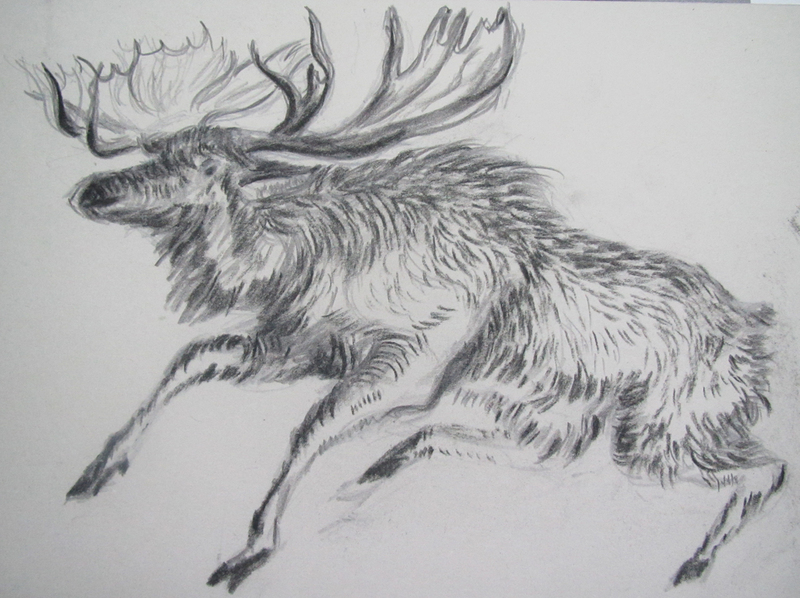 Using drawing as metaphor I engage in art-practice based research and inquiry. ‘ellipse’ is designed to build form and rhythm through linear mark-making. 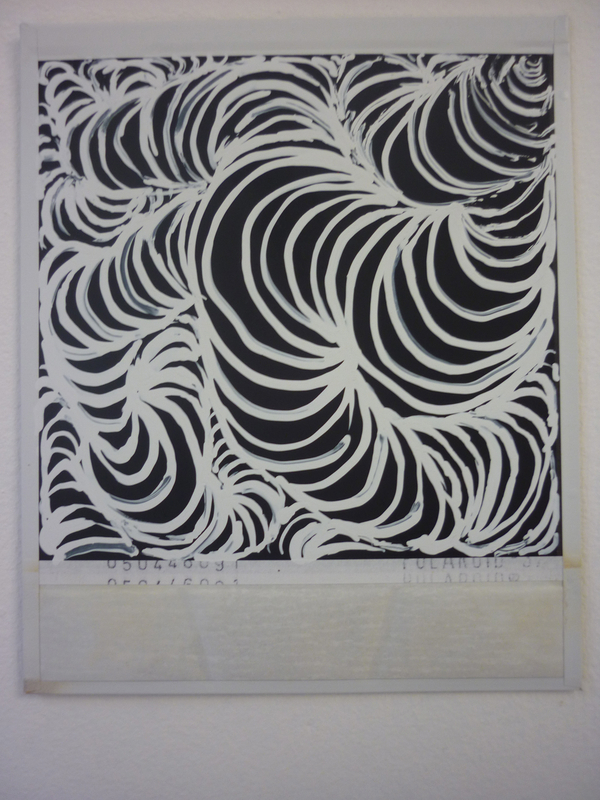 The repetition of embodied gestures, marks and line-weight show my thinking and responses within the drawing process. 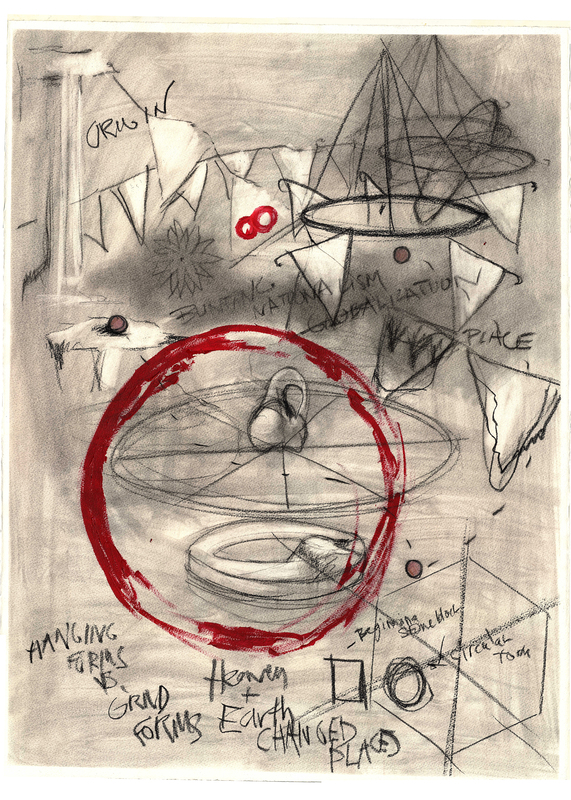 My drawing is both gestural and relationally connective to a felt-sense, as ellipses overlap to create the overall form and structure. This sketchbook drawing was completed as part of a series focused on the Konza Prairie, a tall grass prairie in Kansas, USA. 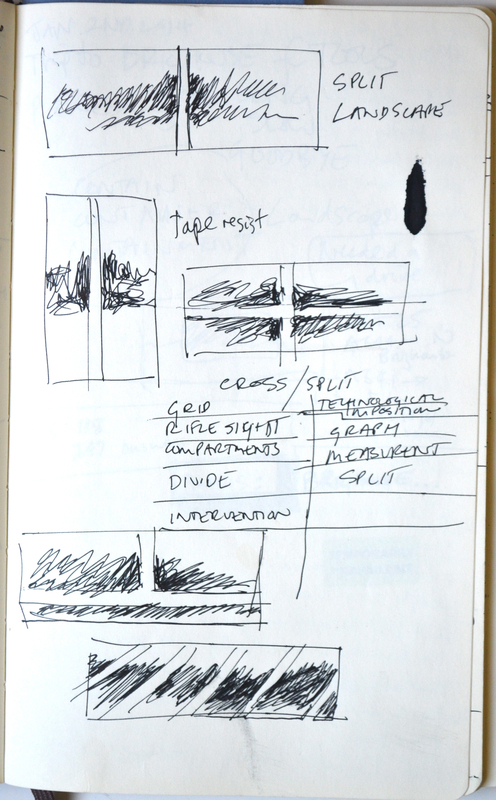 This specific sketchbook page was completed during a field excursion to study the various vegetation in the prairie. 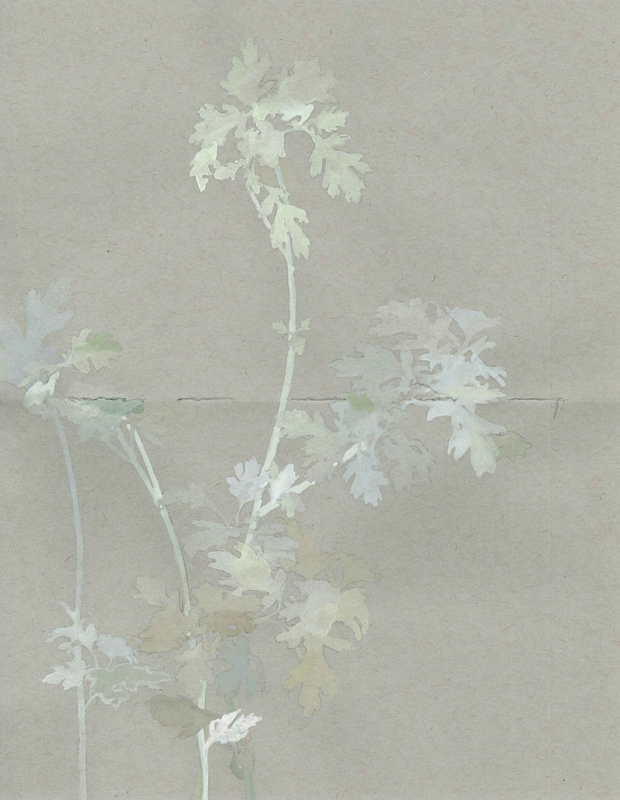 This sketchbook drawing focuses on this specific plant’s relationship to surrounding plants’ color and texture. Graphite and gouache on sketchbook paper. As a professor of landscape architecture, I teach graphic design, drawing, and design studio courses. Currently, my scholarship is based on the study of the Konza Prairie and creating a body of work expressing my understandings of the complexity of the prairie. I completed my MLA at the University of Colorado and my BFA at Syracuse University. Contemporary visual artist, I make drawings, films and installations that expose something about the human mind, about my mind and beliefs and perceptions. 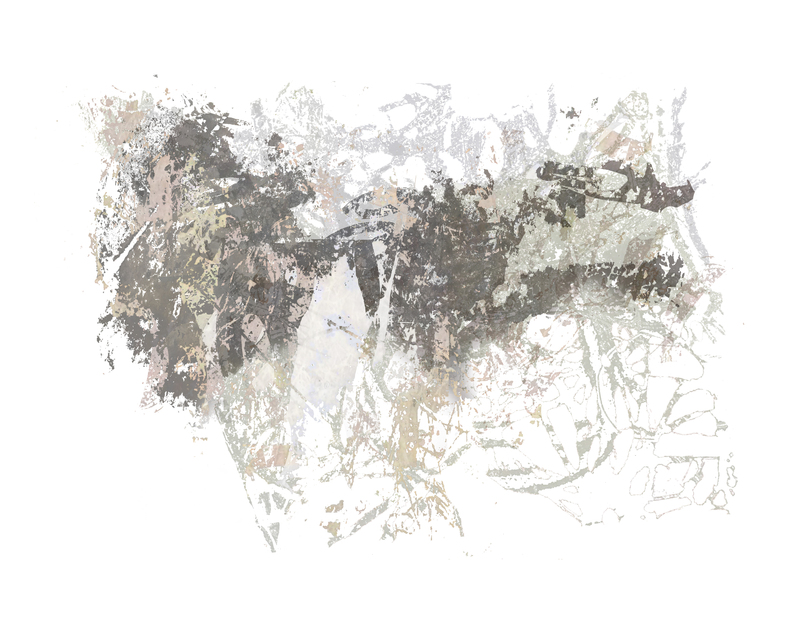 I develop processes that combine both digital media with drawing and movement in the landscape/forest, to reveal the subconscious fragmented knowing as it responds to nature. Lines in the forest are predominantly vertical and horizontal.The aim of this drawing was to abstract the experience of being in the forest and landscape through simple process of drawing straight lines. 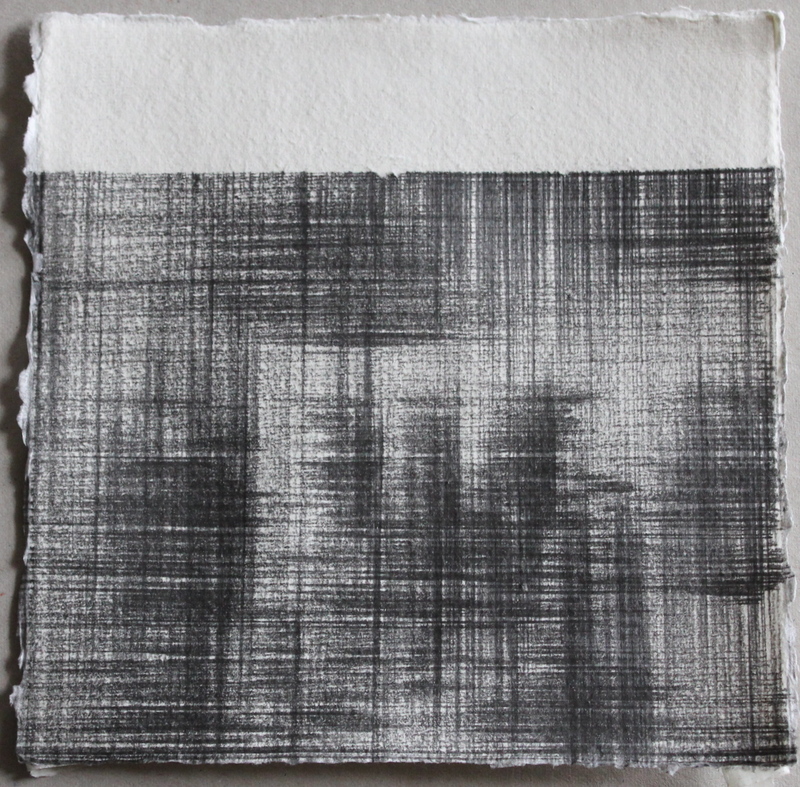 Intensity of emotion is expressed in pressure of graphite on paper, the paper is then turned and intensity of the line responds to the darkness of the lines it crosses. The repetitive nature of drawing one line after the other without knowing the outcome brings a sense of wellbeing, as if conflicting thoughts and feelings are released from the mind to the paper, a manifestation of conflict and peace. I work and live in Sweden. I am an artist and researcher – research about financial problems and over-indebtedness. Oil painting is my main expression. But I have new ideas. For the moment I am trying to combine my two professions to communicate the results of my research to public in an artistic way. The drawing try to express and illustrate many of the feelings as I have felt or been told in the meetings with over-indebted people. 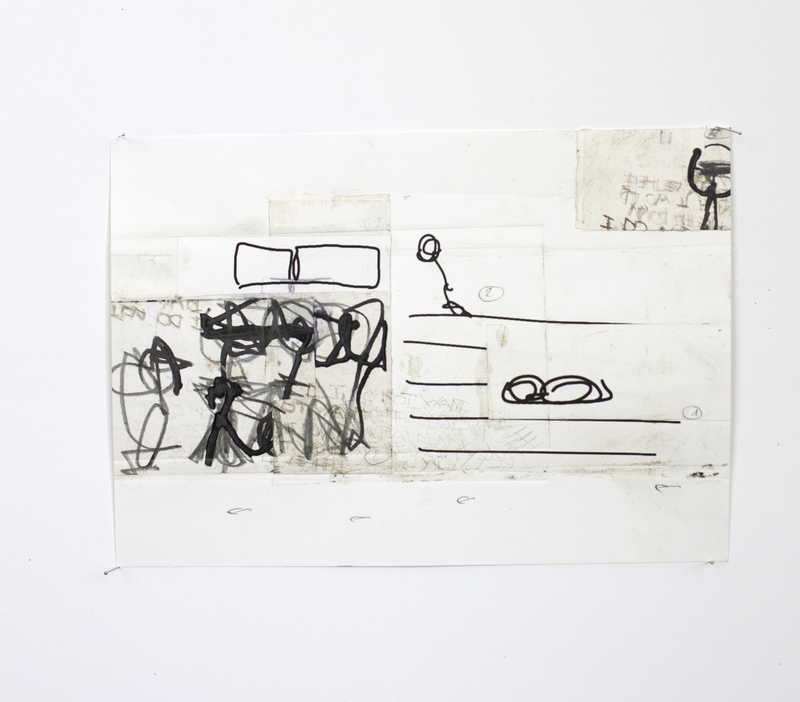 I collect experiences through drawings, stories and photos – for making an exhibition. As a visual artist, garden designer, researcher and senior lecturer at the School of urbanism and landscape architecture of the University of Montréal (Québec, Canada) for the past 15 years, the act of drawing has simply been an essential part of my practice. 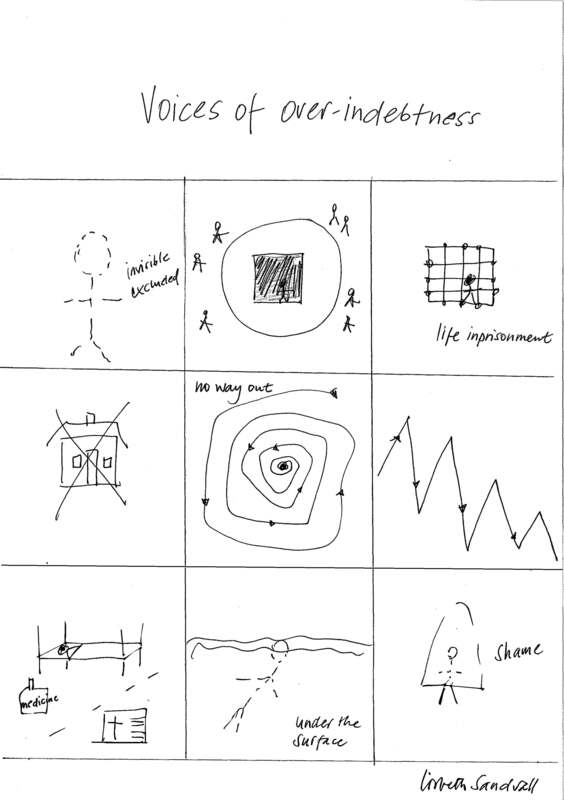 During the thinking process, the data collecting or the communication stages, drawing is always the link. 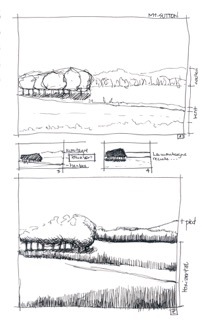 These sketches are part of the study of Mount Sutton (Quebec), subject of my series of micro landscapes. The first look and the first impression become primal traces on paper but sketches after sketches those traces intertwine to create surfaces, volumes, textures and spaces. 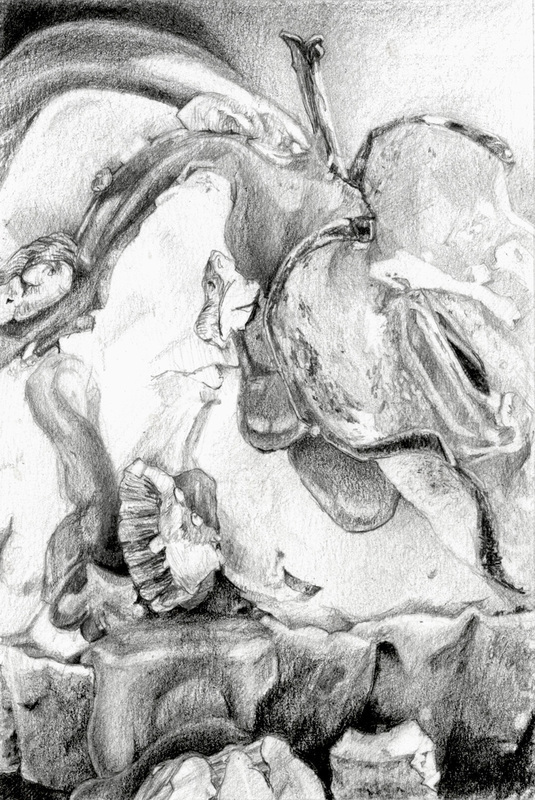 The more I draw, the less I look…the drawings suddenly have a life of their own and the site becomes a landscape!